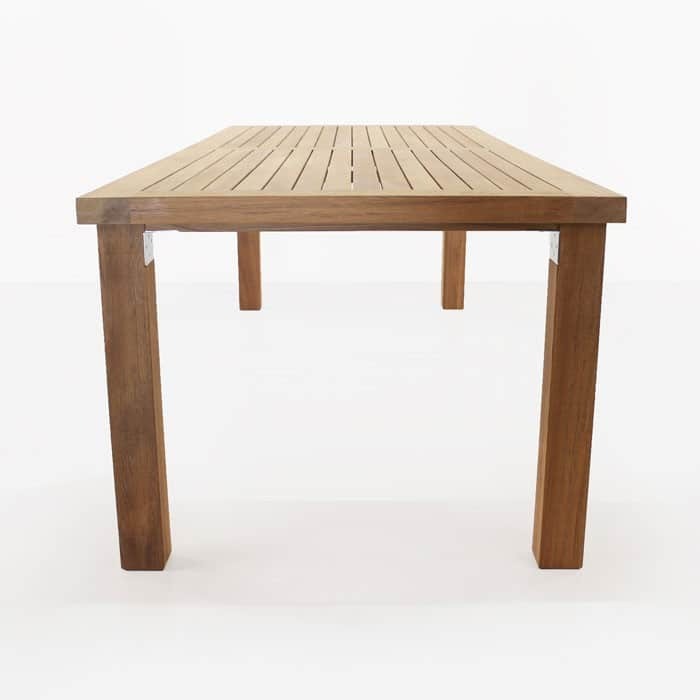 Enjoy dining outdoors year-round with our a-grade teak Long Island Dining Table. 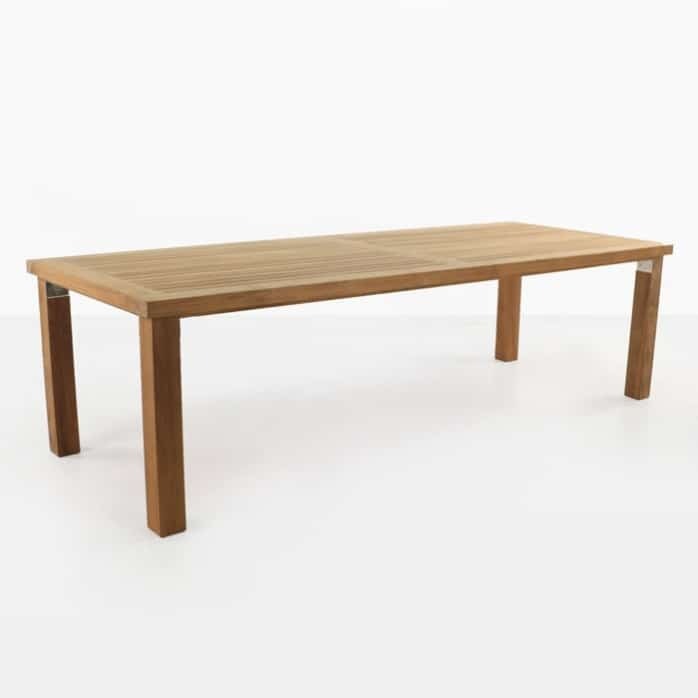 This table is built with the finest quality teak available and reinforced with marine grade 316 stainless steel fittings. 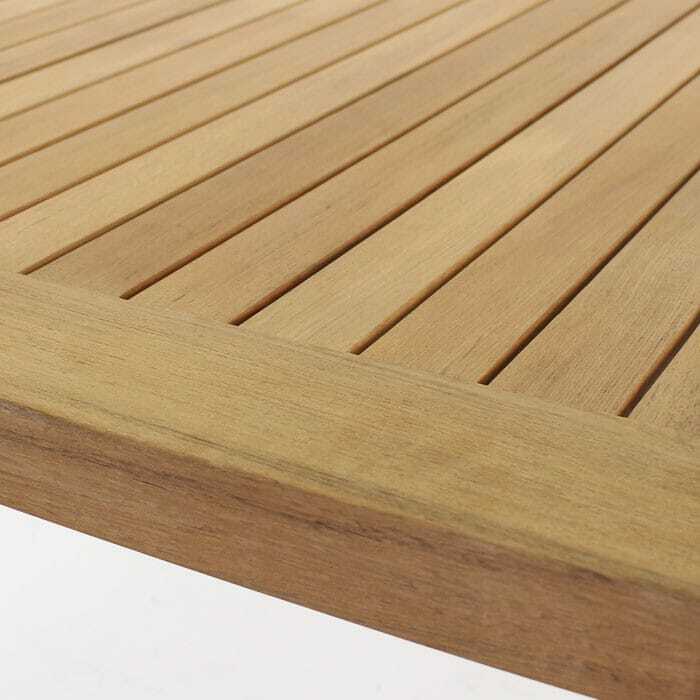 The clean, simple style of this table allows you to pair it with many of our outdoor dining chairs, including wicker, teak and batyline mesh. 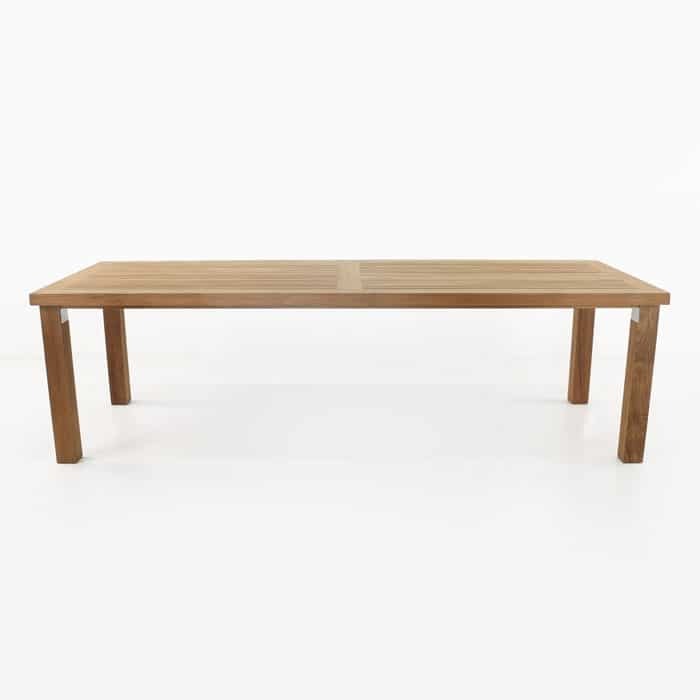 All of our furniture comes fully assembled and is ready for pick up for delivery. Call us today, and we can help you create a dining set that will beg you to dine outdoors under the stars with friends and family.